In 1-cup measuring cup, mix lemonade concentrate, honey and mint. In large bowl, gently stir together remaining ingredients. 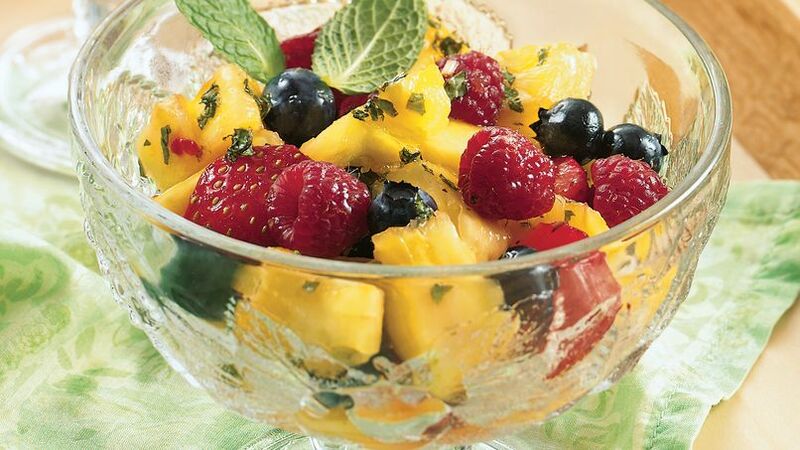 Stir in lemonade mixture until fruits are coated. Serve immediately, or refrigerate up to 4 hours. Go berry crazy and use 3/4 cup of any combination of your favorite berries. Pineapples don't ripen after harvest, so select fresh-looking pineapples with a sweet aroma.